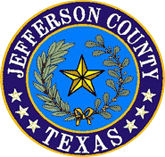 The Jefferson County Local Emergency Planning Committee requires, by the authority given it by the SARA Title III legislation, that Tier II form (as opposed to Tier I forms) be used by companies submitting to comply with this legislation. This form identifies the chemical, its Chemical Abstract Service (CAS) number, its health consequences, quantities, storage location, and emergency contacts to name a few. This form is utilized by the LEPC, citizens, and other interested parties for a variety of purposes including emergency planning, hazardous materials response, and right to know issues of employees, citizens, and HAZMAT responders. Companies that meet quantity criteria set forth in the EPA’s “Title III Consolidated List of Chemicals Subject to the Emergency Planning and Community Right-To-Know Act (EPCRA) and Section 112(r) of the Clean Air Act, as Amended” must file these forms by March 1 of each year.